The Write Question is a weekly video podcast all about writing. Today’s question focuses on how writers can go about finding an artist to work with. [recording] My question is, if I am writing a comic that I don’t know how to draw, how would I get someone to draw for me? Thanks for the question, Andrea. My own mother was an artist but that talent definitely skipped a generation so I totally relate to your desire NOT to draw. Let me ask you this: Are you hoping to find a traditional publisher for your book of cartoons? If not, then, the only thing you need to worry about is finding someone with enough talent who can do the work at a price you can afford. Here’s what I suggest. Many high school students have a lot of artistic ability and if you catch them before they have to make mortgage payments or support children of their own, then they’re probably not going to charge you much. I don’t know if there are any fine arts high schools in China but they are relatively common in the US and Canada. Talk to a school guidance counsellor to try to find someone you might be able to work with. I don’t know enough about the situation in China but if this isn’t possible there, I suggest you get a friend back in the US to make enquiries for you. If this approach doesn’t work you might also consider trying an online site that will help you round up more affordable freelancers. Try: Upwork, fiverr or guru.com. Links below. However, if you are seeking a traditional publishing deal, understand that you DON’T need to find a cartoonist. The publishing house will take care of that. I know, I know, it’s hard to believe but that’s what they’ll. Artist and writer Dani Jones has written an excellent blog post on this topic. (Link below.) 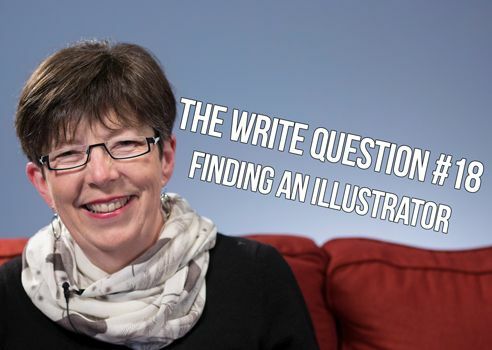 Basically, what she tells you is that illustration is a highly competitive field and most publishing houses have their own art directors who know what kind of “look” they want. Don’t believe that a good editor cannot visualize a cartoon. Of course they can! All they need to see are your WORDS. That’s your job. You’re the writer. Write the words and let the publishing house take care of finding — and paying — the artist. It’s hard enough to get a publishing deal these days. Don’t reduce your chances by including illustrations. Finally, let me wrap up with a quote from famous illustrator Quentin Blake: “Illustration tends to live in the streets, rather than in the hermetically sealed atmosphere of the museum, and consequently it has come to be taken less seriously.” Just so you know, Quentin Blake illustrated the books written by Roald Dhal so I don’t think anyone takes him less than seriously! Thanks for your question, Andrea. Good luck with finding your comic book artist — or your publisher.